This view is from the path at the top of Mires Beck. 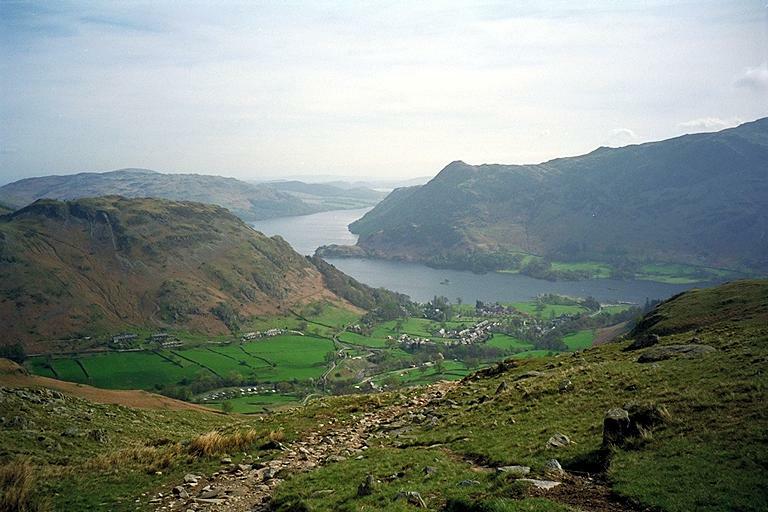 It shows Glenridding Dodd, on the left, with Gowbarrow Fell beyond, and Birk Fell prominent across the bay. Smaller version of this picture.